Working in Skipton with no place to go and after only a few hours notice Peewee and CBA changed their plans for a BoulderUK session and kindly let Joe Picalli and myself join in with them on Peewees excellent board in Nelson. They were also humble enough to let us look good. any boards in the south west london area? Will be near twickenham for a couple of months and hoping to stay strong (the central london walls are a pain to get to regularly from here. I know this is an absurd question, but anybody got a board in the Oxford area? Will be near twickenham for a couple of months and ... the central london walls are a pain to get to regularly from here. Vauxwall should be OK to get to via overground train? I went there for a month while working in Staines and thought it was pretty good. Reasonably well set problems, plus a woody, circuit board and campus board. And you get to train with the BIFF champion. 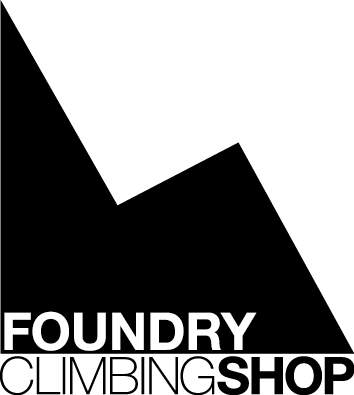 Second Vauxwall, I went there from Teddington and it's not too bad a journey. Did you get the train there or drive? And how long did it take? how mcuh did it cost? Train to Vauxhall, then you're right above the wall. No idea how much it cost, just waved my work Oyster card around and the machines let me through, sorry. Good luck I have been looking for a while and found nothing in the way of a board round here. You are probably aware of the other local options but JIC see below. Brookes wall is pretty good but no board. There is one in the plan for their new extension but it will only be 15degs and the chances are it will be used to set more problems rather than as a board. The wall out at North leach is small but not bad (although it can get very grubby) but again no board. There are a couple of artificial boulders as well. There is a big ugly rough concrete one down by the Kassam stadium which is often in a very poor state. There is also a smaller one out at Standlake which has a couple of good faces and is clean and in a pretty pleasant environment. I use the Standlake one often weather permitting as it is just down the road from me. Hello All, I dont post very often but thought Id throw my details up on here on the off chance there is anyone in the Deepings area (peterborough) looking for a board to train on. Ive just rebuilt the woody in my garage. 40 degrees, nice and wide (3m), fingerboard (not BM but to be added soon), rings and weights etc. Chilled vibe (ninjatune, warp, lau etc. ), beer and other training aids allowed. PM me if you are local and interested. Probably a bit of a long shot, but does anyone know of any boards in Melbourne? Hi Guys anyone with a board setup it the southlakes kendal area? Where abouts around Peterborough are you? Im down in Huntingdon and also have a board / rings setup. 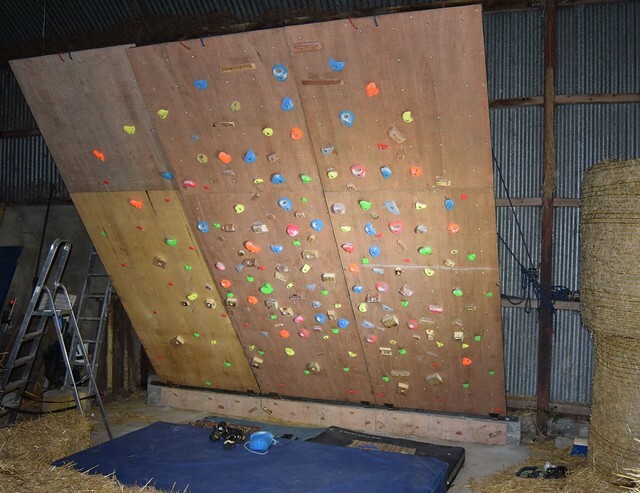 A board in a cow shed. Steepness: Hinged, from vertical to however steep you want it. About 40 degrees seems to be working well for me at the moment. Size; Approx 13ft x 12ft. Vibe; Agricultural: hay bales, manure etc. Other facilities: Punch bag, some weights and a bench. More holds on the way and maybe a campus board. Contact: PM me for further details, would love to have some company if there's anybody nearby! anything in the Bath area? If you have the space I could help build a wall. Looks like I will be moving to the Brighton/Hove/Worthing area in the next month. I have a board, but it will take me a few months to get it established. oooh really? thats useful to hear, spoke to them a couple of months ago and they thought october - will have to venture down and see in that case! It's up and fully functional. Other facilities: Rings, a couple of fingerboards to be mounted and campus board going in at some point.